Tomorrow will be a show unlike any you've heard before, as often I don't play much metal. 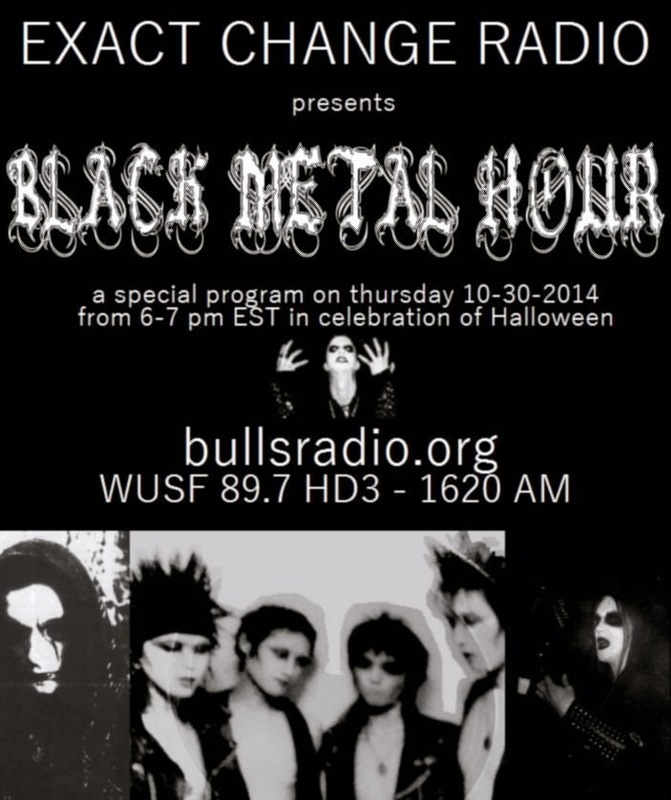 To get in the mood for Halloween the next day, I'll have a playlist of my favorite black metal for the full hour. Shows like this will be few and far between so if you're a fan of BM, be sure to listen in! I've had a lot of friends come in the past few weeks co-hosting the show with me, including Joser, Luigi, Tyler of tha Unit and Justin with the IIIKD demo track. Be sure to catch up on all the old shows in the archive. Later this week I will be posting a teaser flyer for the long-awaited ISSUE #1 of EXACT CHANGE FANZINE. I'll be giving a sneak peak at some of the content and interviews included. On a related note, the EXACT CHANGE DISTRO is winding down for now. There just isn't a high enough demand for another distro in my area, I don't travel enough to make it worth while and I don't have time to open a webstore. I've got one copy each of the following records for anyone interested in mail order or pick up if you're in the area.